Being mom of two boys, I am always on the go and has to fetch my kids from school also send son for tuition. Busy parenting didn't stop me from shopping groceries, online shopping is convenient now. Next month will be Chinese New Year, there's lot of preparation for it. Today I took time off to attend the 11 Street x JOCOM: Cooking Up Prosperity Launch at One City. Preparation work for Chinese New Year, especially the reunion dinner, is often extensive and time-consuming. As the festive celebration is around the corner, 11street – Malaysia’s number two online marketplace – has reinforced its partnership with JOCOM to bring prepping and shopping for Chinese New Year grocery items to another level of convenience. Bruce Lim, Vice President of Merchandising at 11street said: “More Malaysian consumers would start to explore shopping for groceries and other household items online. This holds true and as 2017 comes to an end, we expect this category to only flourish from hereon. [From left] Wong Chui Ling, well-known TV personality and host; Bruce Lim, Vice President of Merchandising at 11street; Tan Sri Danny Ooi, Founder of the Malaysia Book of Records; YB Datuk Wira Dr Abu Bakar Mohamad Diah, Deputy Minister of Science, Technology and Innovation (MOSTI); Joshua Sew, Chief Executive Officer of JOCOM; Agnes Chua, Managing Director of JOCOM; and Chef Cheah Kee Khiang posing for a group photo with couplet greetings to welcome 2018. 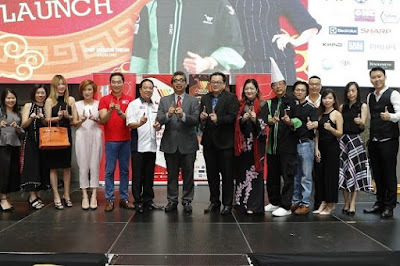 The partnership between 11street and JOCOM goes beyond opening an online channel for grocery shopping, for it also includes “Cooking Up Prosperity”, a 10-episode cooking show that will be streamed online. Featuring Chef Cheah Kee Khiang, a prominent chef in Malaysia, and hosted by well-known host and TV personality, Wong Chui Ling, the show will feature simple-to-follow Chinese New Year recipes using fresh ingredients available on JOCOM’s online store at 11street. Chef Cheah Kee Khiang showing the crowd a snippet of ‘Cooking Up Prosperity’ in a live cooking demonstration using fresh ingredients available on JOCOM’s online store at 11street. 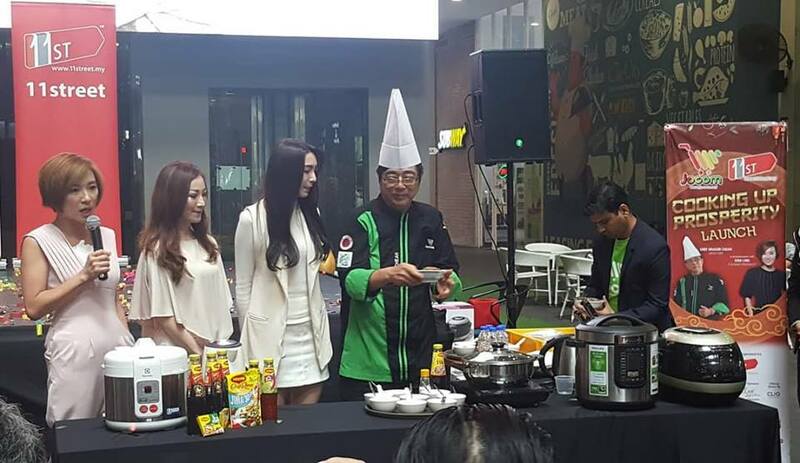 [From left] Wong Chui Ling, well-known TV personality and host; Jacqueline Tiang, first runner up of Miss Astro 2016, and Chef Cheah Kee Khiang. Each episode of “Cooking Up Prosperity” will be streamed every Tuesday and Thursday, beginning today, and run for 10 minutes. Among the dishes featured are Golden Prosperity (Fried Prawn with Salted Egg Floss), Tremendous Opulence (CNY Cake with Taro & Sweet Potato), and Superior Smooth Porridge Seafood Steamboat, with each dish taking less than 10 minutes to cook. Joyous Prosperity [金玉满堂好来事 （蚝士发菜疏）], also known as Braised Dried Oyster with Black Moss – one of the dishes which will be featured in the Cooking Up Prosperity show. 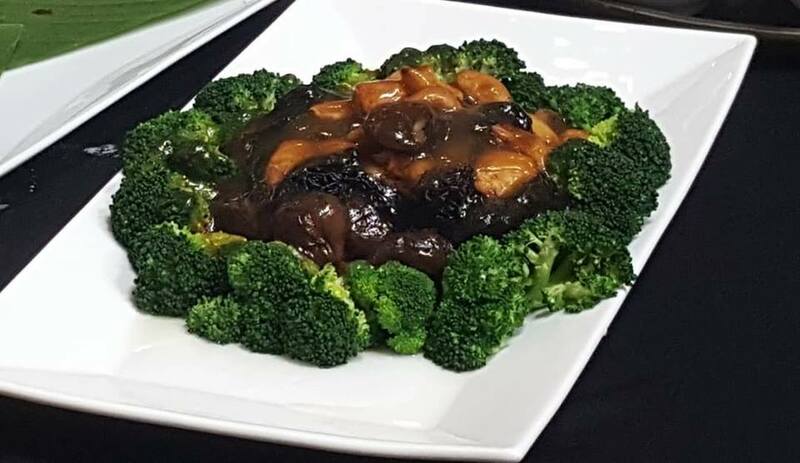 At the event, we get to see the Chef Cheah Kee Khiang cooking and this looks so yummy and delicious, would be nice to eat it with a bowl of white rice. “Following the growth of online grocery shopping, we hope the numbers especially the GMV and number of orders will double in the next two years. The possibilities are limitless, in which we believe that there are still many untapped avenues to grow the grocery segment on the 11street platform,” Sew concluded. On top of lower prices, shoppers can also enjoy additional savings by visiting the promotion page to download discount coupons worth up to RM20 until 4 March 2018. For more information on the “Cooking Up Prosperity” promotion, please visit http://promotion.11street.my/2018/01/cooking-prosperity. 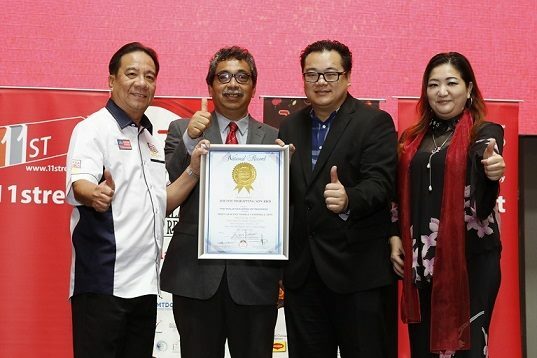 JOCOM was awarded by the Malaysia Book of Records for being the First Grocery Mobile Commerce App. 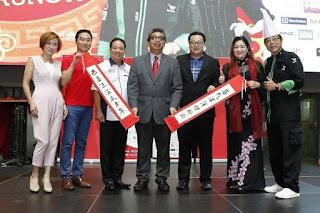 [From left] Tan Sri Danny Ooi, Founder of the Malaysia Book of Records; YB Datuk Wira Dr Abu Bakar Mohamad Diah, Deputy Minister of Science, Technology and Innovation (MOSTI); Joshua Sew, Chief Executive Officer of JOCOM; and Agnes Chua, Managing Director of JOCOM. To conclude the event, JOCOM was recognised by the Malaysia Book of Records (MBOR) as the First Grocery Mobile Commerce App in the country. The award was presented by Tan Sri Danny Ooi, Founder of the Malaysia Book of Records and witnessed by YB Datuk Wira Dr Abu Bakar Mohamad Diah; Deputy Minister of Science, Technology and Innovation (MOSTI). The four-month evaluation process concluded with JOCOM leading the way in its product innovation and leadership – a nod above other local and foreign grocery app providers and competitors, including more established hypermarket. JOCOM was further lauded as the first Malaysian establishment to have won an award under the category. Group photo of representatives from 11street, JOCOM, and brand partners. Brand partners includes Clio, Desa Home, Electrolux, F&N, Maggi, Nikudo, Onenot-enough, Kinohimitsu, Khind, Philips, Sharp, SJK Electrical, Starbucks, Sublime, and Trine Nexus. it provides a total integrated solution that protects both the consumers and the vendors. JOCOM wants to give a new convenient way to assist traditional business by providing the platform of latest technology connecting rural farmers, traders and vendors with affluent consumers via e-commerce via their app.